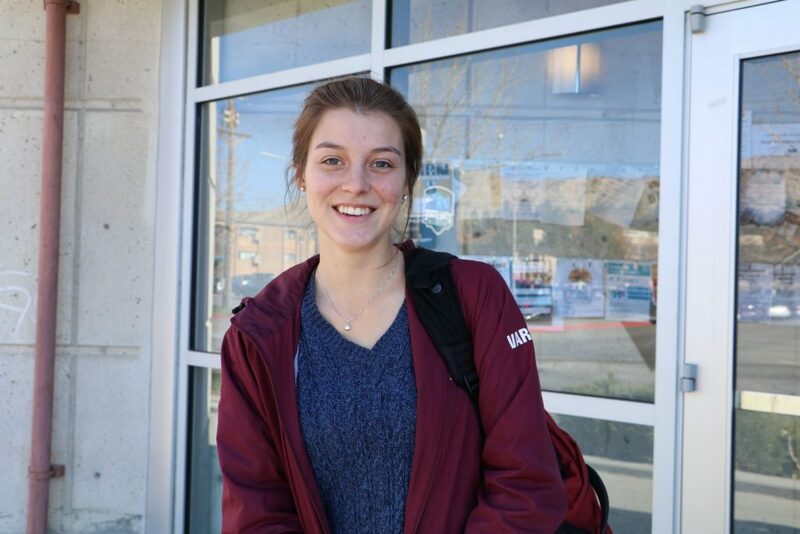 From Maine, to Logan, to Price describes Crystal Frappier’s education travels.She attended the USU Logan campus for a semester, then transferred to the Eastern campus to save money. Once she graduates with an associate degree, she plans to transfer to the Logan campus. She said, “I spent a lot of time in the athletic trainer’s office.” For a while, this became a drive for what she planned to do as a career, but after taking a psychology class, her plans changed. “I for sure want to work with athletes and when I took a psychology class in Logan, I thought, this is it. This is what I want to do.” She took two things she loves most and now has a goal to become a sports psychologist. After learning the reality of how much college students, Frappier wishes this wasn’t the case so that she could get all the schooling done she wants and move back to the East Coast. Frappier’s mother taught her from a young age to never quit. She said, “Now that I’m an adult, I think, wow this is really hard, maybe I should not do this.” But she always puts mind over matter and gets the job done. She will not give up and doesn’t stop trying. Along with the natural ability Frappier has to work hard, she likes that she has mastered kindness. Anyone that has associated with Frappier knows that she is kind and positive. She enjoys the outdoors and takes advantage of Utah by hiking its rocky trails.